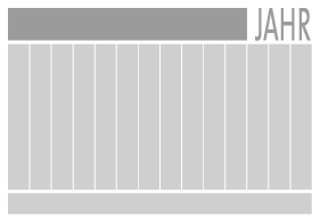 14 Months at a glance – this is Top! 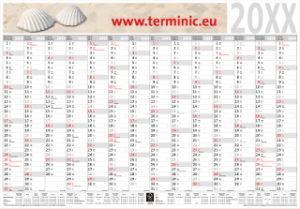 It leaves a lasting impression as promotional gift and company calendar: the terminic poster calendar Top 14, Model 99-69, is a large-size calendar model with 14 months at a glance for a planning across the years, panorama promotional area and a lot of space for entering of appointments, birthdays, a planned vacation and notes. That makes the poster calendar Top 14 99-69 an indispensable daily helper in the office and everyday life. The poster calendar Top 14 is particularly popular and promotionally effective in combination with one of our desk or wall calendar models with multiple-month overview.